"Louis Lotorto as Milt, a scene stealer if there ever was one, sets the tone for the craziness that follows, and his comedy timing is flawless." "This superb cast of talented comedians and farceurs is filled with first rate actors – all at the top of their game – resulting in a brilliant ensemble effort." "This is an all-star cast and these consummate comic pros bring enormous verve, humor and impeccable timing to the production." ". . .Christian Barillas and Louis Lotorto were most amusing as the Venticelli, without hamming it up." "The most challenging supporting roles-and perhaps the most thankless-are Salieri's 'venticelli,' the two 'little winds' (Christian Barillas and Louis Lotorto)….their proclamations, almost always adagios of alternating sentences or even single words in length, are always delivered with the perfect synchronization Shaffer requires.."
". . . There’s also a shifty gold-chaser named Ace Dolan on hand, and actor Louis Lotorto gets the show’s best laughs in that role with his lovably groan-worthy puns along the lines of “All roads lead to Nome.”. . . "
"A terrific Louis Lotorto performs double duty as Ace Dolan and as Charles Valliere the piano player." "...and just about anything involving SoCal theater treasure Louis Lotorto as a pacemaker-dependent octogenarian waiter named Alfie deserves a standing ovation." ". . . Deserving a special mention is Louis Lotorto as Alfie, an elderly waiter on rubbery legs who hasn’t found out yet that he might be eligible for a happy retirement. . . "
"Even the smaller roles are comedic showcases – notably Louis Lotorto’s Alfie, a feeble, doddering, wheezing old waiter at a seaside hotel." "...and 87-year-old Alfie (scene-stealer Louis Lotorto), whose slow, shaky balance is furthered hindered by a rather temperamental pace-maker that threatens every subtle move he makes. Talk about comedy choreography!" ...As Man #1, Louis A. Lotorto is a master of accents and Charlie Chaplin-like movement as a Nazi spy, Scottish lady innkeeper and many more. This is his fifth production of “39 Steps” and his experience with the material shows." "Louis Lotorto, as George’s brother Leo, is a consummate actor who infuses the part with realistic gestures and East Coast energy that keeps his performance consistently exciting." ". . . Mhari Sandoval and Louis Lotorto give excellent support with their vivid comic portrayals." " . . . and two wonderful performances by Justin Stark and Louis Lotorto as the Venticelli . . . "
". . . The production abounds with slapstick that borders on magic and humor that melds seamlessly into hilarity. . .Kenny Landmon and Louis Lotorto were staggering in their many, many characters. . ."
". . . a cast of four who have dead-on comic timing." "The quartet of actors, though each possesses manifold and prestigious credits, works as a longtime team, evidencing either very long hours of rehearsal or very smart work by all." "Louis Lotorto and Kenny Landmon play the two Clowns who portray everything from spies to Scottish Innkeepers to murky bogs. The two men have a remarkable ease of movement, allowing them to change characters onstage with the switch of a hat or a coat. At one point, there is a change from an investigator in his trench coat to the old lady Scottish Innkeeper with a split second change(Lotorto). And on the train, the two Clowns morph back and forth from passengers to the conductor and train station newspaper barker. 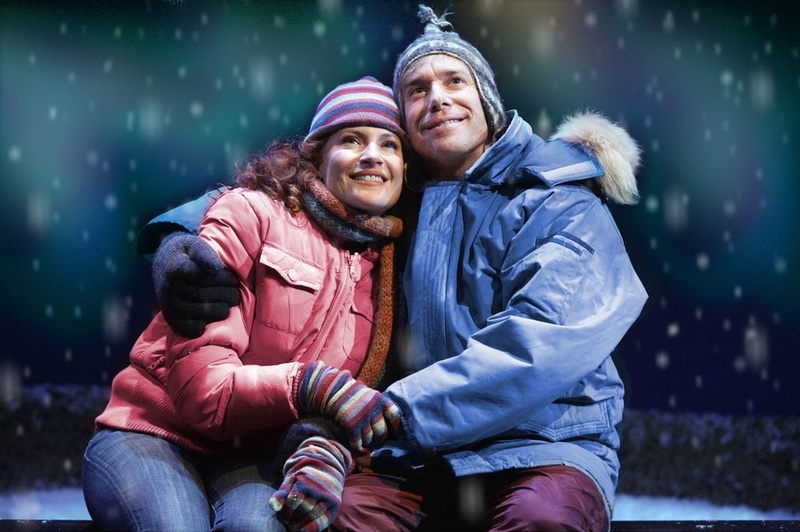 It's an amazing piece of theater, performed brilliantly by Lotorto and Landmon." "Actors Louis Lotorto and Kenny Landmon play most of the other numerous characters in “The 39 Steps,” and they present another kind of mystery altogether: How do they pull it off? Availing themselves of a smattering of accents, postures and costume changes, the actors portray not only people but also the weather, the sets, the sound effects, the scene-changers and the prop people. The versatility, physicality and timing of all four actors are astonishing, given that some scenes require split-second transformations." ". . . Louis Lotorto is in top-notch form all play long. He proves with ease that he can be funny whether it’s a take, a line delivery, a look, a pause, an anything. His physical slapstick accompanied with strong timing for bits shines throughout the show. His act 2 monologue of explaining the entire debacle garners much deserved applause and respect that he could even deliver a mouthful with such clarity and hilarity. ". . . Louis Lotorto gives a marvelous performance as Robert, the duplicitous friend. He must walk a fine line in his attempt to cover for Bernard while hiding his own treachery. He panics and sputters as he reacts to his impossible situation. At the end, when things must be sorted out, Lotorto’s character offers a pressured and inventive explanation that is a tour de force. . ."
"SoCal favorite Louis Lotorto and Scenie-winning character actor has vanished into roles as varied as The Glass Menagerie’s Tom Wingfield and Wait Until Dark’s Mike Talman. It should come as no surprise then that this acting chameleon proves the perfect choice to disappear inside character after character after character (in a number of instances making split-second back-and-forth transformations with nothing but a change of hat), and prove himself as masterful at comedy as he is at drama." "In order for any interpretation of The Odd Couple to work, there needs to be strong chemistry between the two main leads. 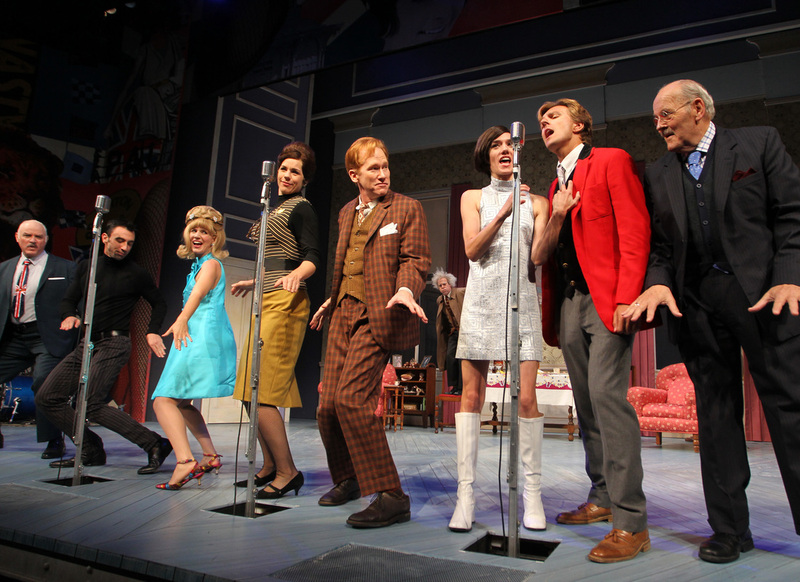 Fortunately, the stars of North Coast Repertory Theatre’s production of Neil Simon’s legendary comedy have that in spades. . . .Lotorto arguably plays a much more difficult role as Felix. While he is the second main actor, Lotorto only appears for a few minutes in Act I, but quickly builds empathy with his hilariously sad sack interpretation. In Act II, his unbearably uncomfortable reactions to situations that are out of his control at times made my cheeks hurt from laughing so much. 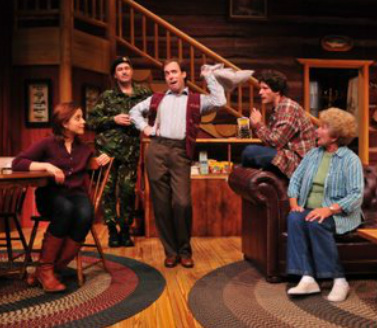 . .
. . .Thompson and Lotorto’s strong teamwork makes The Odd Couple a fun night of entertainment. I hope that this isn’t the last time that these wonderfully well-matched performers work together in San Diego." ". . . a wonderfully exasperated performance by Louis Lotorto . . ."
"Lotorto is spot-on as Foley, at once irredeemably cantankerous and sweetly lovable. . . .Lotorto and Goss are particularly flawless in their scenes together, two veteran performers who possess a well-oiled comic timing that recalls such talents as Charlie Chaplin and Harold Lloyd." "Lotorto is, not to say this lightly, a gift to the theater. Not for one second does he force the comedy. We laugh heartily for the truths in his character, not for any actorly antics. And because Lotorto has been so truthful onstage, we hurt for Jim’s hurt." "Louis Lotorto, the stand-out of the show"
"A special comment about the performance by Louis Lotorto: It was so real and satisfying that one could almost believe that he moonlights during the day as a real dramaturge. Do not miss this production." "A Colony favorite, Blame It On Beckett makes it an even half-dozen Colony appearances for unofficial resident chameleon Lotorto, once again disappearing into a character. . . "
"A great deal of the fun in this production can be put down to the antics of Christopher Shaw and Louis Lotorto, who run wild in their multiple roles as everything from Scottish innkeepers to German spies. One mad slapstick sequence spills pell-mell into another as these two wonderful clowns explore every nuance in a superbly fertile script." "In broadly comic style, Lotorto is at once lecherous and sarcastically officious." "You won’t recognize Louis Lotorto from his appearance as Starbuck in “The Rainmaker,” even if you saw that Sierra Rep winner earlier this year. As, I believe, a testament to an actor’s performance, barely a mannerism or affectation hints at that previous role, and as Etienne, Lotorto is a riot of bodily contortions and linguistic playfulness. His and Kelley’s scenes when the master and servant conspire are quick, witty and adorably punctuated." ". . .a first-rate production. . ."
". . .outstanding cast. . .superbly acted. . ."
"Louis Lotorto does an excellent job in the boisterous and larger than life role of Bill Starbuck. For a man who makes his living deceiving people, Starbuck proves to be surprisingly self-aware and sensitive to others. Lotorto ably captures these nuances." "Lotorto is excellent as the wayward Dorian." "Louis Lotorto is both chilling and amusing as Bradley." "Louis Lotorto as Charlie is hilariously perfect with a myriad of facial and body movements to capture your heart." ". . .deftly played by Louis Lotorto. . . skillfully takes the character from timid to jovial to heroic." "The ensemble: Caroline Kinsolving, Louis Lotorto, Donald Sage Mackay and Dee Ann Newkirk are sensational under director David Rose’s expertise." "Louis Lotorto(as Ross), an obnoxiously doting preschool Dad, is so sunny and shallow, you just may want to slap him." ". . .the five-member cast performs magic." ". . .Lotorto is a kick in the pants." ". . .Corwin, Lotorto, and McConough play multiple parts. . . each of them is outstanding." "Lotorto is spot-on without ever overstepping." ". . .and once again Lotorto disappears into a role and plays it to perfection." "Lotorto. . in a cerebral yet sympathetic portrayal that is effectively downplayed - the perfect counterpoint to the play's charged emotional content." "Louis Lotorto turns Simon into a sympathetic and richly nuanced character. (He) combines just the right elements of humor and compassion for us to feel completely in his corner." "As Williams' surrogate Tom Wingfield, an inspired Louis Lotorto invests the present Tom's monologues and the past Tom's conflicts with great truthfulness and heartbreaking affect." ". . .enabling second banana Watson (Louis Lotorto) to commit grand theatrical larceny and walk off with the show. . ."
"Lotorto, skillfully directed by David Rose, builds the episode beautifully, beginning with low-key menace and expressing increasing satisfaction while strapping Holmes to a La Frontenac chair and spelling out his grisly goal. When Watson says, "How you enjoy lording it over your bumbly, slow-witted, treacle-minded aide-de-camp ... your selfless, fawning, ever-faithful Boswell," the speech, and Lotorto's multidimensional delivery of it, constitute crackling theatre." "Lotorto seems to have studied the art of quick changes from Siegfried and Roy." ". . .The production is particularly fortunate to be possessed of that sine qua non of successful farce, Louis Lotorto, aided in great measure by his mastery of physical comedy. . . "
". . .stellar production. . .near perfect. . ."
"But for scene-stealing pleasure, look no further than Louis Lotorto's fall down funny, Camille, scripted as having a cleft palate." ". . .It's far and away the best farce I've seen in a long time, and certainly the best ever at A Noise Within, with the much-noted Louis Lotorto giving his speech-impeded flunky more shades than would seem possible. . ."
"The gentlemen—Louis Lotorto as Gustave-Hippolite Worms, Marcelo Tubert as Flavio Andò—are a joy, each subsuming himself to his diva in his own madly entertaining way." ". . . Marcelo Tubert and Louis Lotorto render the most richly comical turns of the evening. . . "
"The part of grandson Vince was beefed up in the 1995 rewrite, but Louis Lotorto's performance doesn't need the extra lines to make Vince compelling." "Louis Lotorto makes his presence known as a volatile, on-the-edge grandson Vince."